A second attack against tourists in Bangkok took place about 18 hours after the first as a bomb was hurled from the Saphan Taksin Bridge onto the footbridge to a Chao Phraya River dock used frequently by tourists. There were no injuries in the attack because the assailant missed with his throw and the bomb bounced off of a post and went off harmlessly in the Sathorn Canal, which is connected to the river. The footbridge leads to an embarkation for the Chao Phraya River Express Boat. According to a report in the Bangkok Post, local authorities believe both bombs, the Chao Phraya bomb and the Erawan Shrine bomb, were “the work of the same perpetrators.” The police believe the bombings are being done, at least partially, by foreigners. Footage captured by a security camera shows how close this blast came to tragedy. Divers recovered fragments of the device, which show it to be a pipe bomb, as was the Erawan Shrine bomb. A half dozen metal fragments of the pipe bomb thrown from the Taksin road and rail bridge near the waterway and the BTS Saphan Taksin station. The Sathorn bombing took place at 1.20 p.m., but despite the police activity, the pier remained open with boat operations continuing as normal. Though some 23 nations have issued travel warnings against Thailand. The U.S. State Department at press time (5 p.m. Eastern Standard Time, Wednesday) had not. According to the Bangkok Post, the Sathorn pier is “a major tourist stop, especially for Chinese tour groups.” The Erawan Shrine was also a popular destination with Chinese tourists. 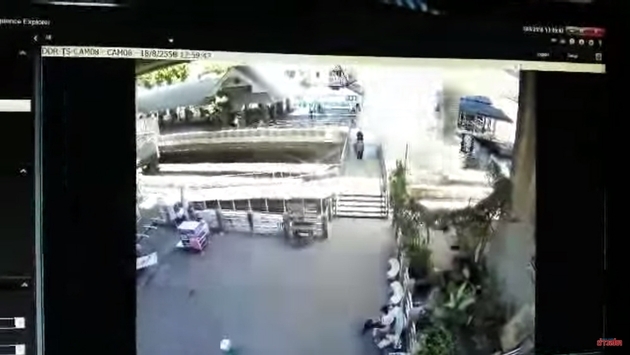 On Tuesday, police released surveillance video of the man who left the bomb at the Erawan Shrine. 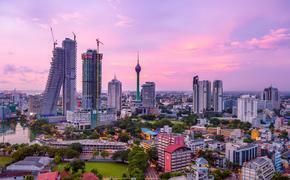 Thai authorities have increased security at key locations in Bangkok, including important tourism zones. CNN is reporting that a Thai taxi driver has been giving information about the Erawan Shrine suspect in the surveillance video. The suspect used the taxi to get away from the scene of the crime and spoke on his cell phone in a language that the driver was certain was neither Thai nor English.